check out our Natural Brand Directory! Milk comes from cows. It is a dairy product. Soy milk comes from soybeans, which are vegetables that belong in the legume family. 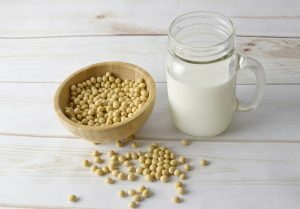 The National Milk Producers Association want the Food and Drug Administration to prevent beverages made from soy from being labeled with the word “milk”. Soy milk might be a good alternative for people who have an allergy to milk, or who have an intolerance to dairy. People who are allergic to soy should not drink soy milk. To be clear, drinking or eating soy does not cause food allergies. Soy is one of the eight most common food allergies, but it is relatively rare in comparison to the other seven. Soy allergies are much less common than milk or peanut allergies. According to Livestrong, each 8 ounce serving of soy milk provides 100 calories, 8 grams of carbohydrates and 7 grams of protein. It also contains 4 grams of fat. Specifically, soy milk has 0.5 grams of saturated fat, no trans fats, and no cholesterol. Per serving, soy milk includes 0.510 mg of robiflavin, which is more than one-third of the USDA’s recommended 1.3 mg. Soy milk also contains 299 mg of calcium per serving. (The daily recommended amount of calcium is about 1,000 mg.) Soy milk contains 119 IU of Vitamin D (more than half of the daily recommendation.) There is about 1.2 grams of sucrose in 8 ounces of soy milk. FitDay states that soy protein contains all of the essential amino acids, which means that it is a complete protein. About 35% of the calories in soybeans come from protein, while other types of beans only offer 30% of their calories in protein. The American Academy of Pediatrics (AAP) recommends that babies receive human breast milk, because it is the ideal source of nutrition for infant feeding. Their report showed that isolated soy protein-based formula has no advantage over cow milk protein-based formula as a supplement for a breastfed infant. AAP says that soy protein-based formulas are not recommended for preterm infants. The American Heart Association released a presidential advisory about dietary fats and cardiovascular disease. The American Heart Association is sharing this information in an effort to help people prevent themselves from developing cardiovascular disease. 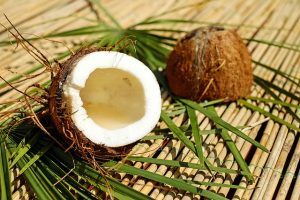 Some people are angry about this news, because it reveals that coconut oil is not as healthy as they believed it to be. Harvard Medical School notes that saturated fats are solid at room temperature. “Common sources of saturated fat include red meat, whole milk, and other whole-milk dairy foods, cheese, coconut oil, and many commercially prepared baked goods and other foods.” Harvard Medical School says that a diet rich in saturated fats can drive up cholesterol. 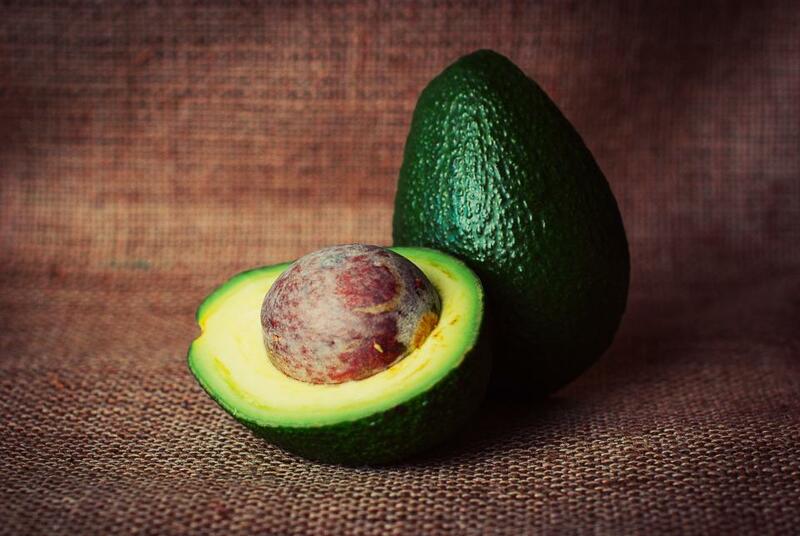 The American Heart Association (AMA) reviewed and discussed the scientific evidence, including the most recent studies, on the effects of dietary saturated fat intake and its replacement by other types of fats and carbohydrates on cardiovascular disease. Randomized controlled trials that lowered intake of dietary saturated fat – and replaced it with polyunsaturated vegetable oil, reduced cardiovascular disease by approximately 30%. The AMA says that result is similar to the reduction achieved by a statin treatment. In addition, the randomized controlled trials showed that replacing saturated fat with refined carbohydrates and sugars did not reduce cardiovascular disease. In short, the AMA is saying that you should avoid using saturated fats and choose polyunsaturated fats, or monounsaturated fats, instead. Put down the coconut oil and replace it with soybean oil, safflower oil, corn oil, or flax oil. Snopes.com reports that some people, who are personally or financially invested in coconut oil, are taking the AMA’s presidential advisory personally. In the article, Snopes.com points out a specific website that is loudly complaining about the AMA’s advice. That website sells coconut oil and receives a commission on the coconut-oil based diet books that appear on the page. If your family has a history of cardiovascular disease, you might want to consider what the AMA’s presidential advisory is telling you. The AMA recommends that people reduce saturated fat to no more than 5% to 6% of their total daily calories. For some people, summer means vacation time. That vacation could be in the form of a long vacation that involves plenty of traveling, or a “staycation” that takes place in a weekend. Even if you are stuck at work for the entire summer, you still need to think about good health. There are plenty of ways to stay healthy this summer. It is always important to make sure you are properly hydrated. 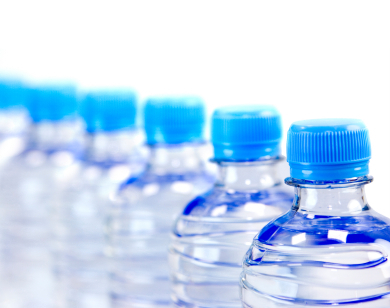 The hot, humid summer weather requires people to be extra vigilant about hydration. LiveScience says you need to drink enough water to prevent thirst. For short-duration, low-to-moderate intensity activity, it is advisable to drink water before, during and after exercise. People are often tempted to go on a fad diet right before summer in an effort to quickly lose weight. These types of diets are not healthy and can be dangerous. No one should starve themselves in an effort to stay under an arbitrary number of calories. USA Today College reports that people should try to eat healthy foods 80% of the time. This allows for some indulgences of less-than-healthy food without destroying your health. Summer vacation should involve some relaxing activities. You still need to get at least some exercise, though, in order to stay healthy. Forbes points out that getting 20 minutes of exercise, every other day, will help you to stay healthy. Visit the gym at the hotel you are staying at, or go for a swim. Forbes also points out that walking is a good form of exercise. Taking a walking trip through a city gives you the opportunity to take an architecture tour, or to stop and take plenty of photos. A quick and sweet treat doesn’t have to be an unhealthy one. You can freeze small pieces of fruit on a stick and eat that instead of a store-bought popsicle. Make a frozen fruit kebob out of pieces of a variety of fruits. You can cool off, get hydrated, and get some fiber at the same time. Swimming is a great way to get some exercise, and beat the heat, when the weather is hot. The Center for Disease Control and Prevention (CDC) has some advice about healthy swimming. It is a good idea to learn how to keep your self healthy when swimming in a public pool. 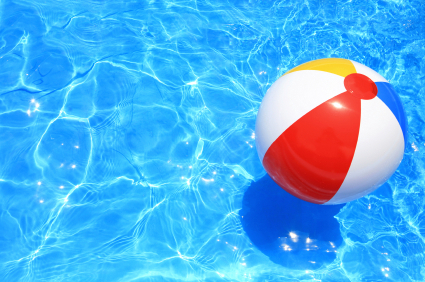 The CDC recommends that you check the pool before you (or your family members) get in. Check the pool’s latest inspection results. Make sure the drain at the bottom of the deep end is visible. Check that the drain covers at the bottom are secured and in good repair. Look for a lifeguard who is on duty. That person should be focused on the swimmers and not distracted. If there is no lifeguard, the pool should have a “No Lifeguard On Duty” sign. Make sure you shower before you get into the pool. Most public pools have shower facilities for people to use. You can take a one minute shower and wash off dirt (or anything else) before you get in the pool. Doing so helps prevent the spread of dirt and germs. The CDC recommends that you stay out of the water if you have an open wound. This could be a cut that has not healed, a piercing, or a wound from surgery. Make sure all open wounds are covered with waterproof bandages. It is vitally important that you stay out of the water if you have diarrhea. Do not allow your children to swim in public pools if they have diarrhea. There is a parasitic infection called “Crypto” that spreads when a person comes into contact with, or swallows, pool water that has been contaminated with diarrhea. People who have had “Crypto” must wait until two weeks after their diarrhea has stopped before they can go swimming. Parents need to take frequent breaks and bring their kids to the bathroom. Parents must check diapers and swim diapers in a diaper changing area and not right next to the pool. Teach your children NOT to swallow the water that is in the pool. The CDC recommends that people protect themselves against sunburn by using a sunscreen of at least SPF 15 that blocks both UVA and UVB rays. Sunscreen can wear off, so make sure to reapply it every two hours. People who want to stay healthy often seek out healthy snacks. It turns out that popcorn can be a healthy snack. It all depends on what kind of popcorn it is, and the quality of the ingredients that have been added to the popcorn. First, the good news. Popcorn is naturally a whole grain. This means it provides the healthy benefits derived from the nutrients in every component of the whole grain. 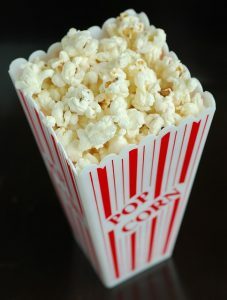 Popcorn contains about 4 grams of dietary fiber for every 4 cups of popped corn. Popcorn contains an antioxidant called polyphenols. Popcorn, all by itself, is gluten-free. That’s great for people who have celiac disease, an allergy to wheat, rye and/or barley, or who have a gluten intolerance. It is also dairy free (if you don’t add butter or cheese to it). Popcorn does not naturally contain eggs, shellfish, fish, tree nuts, peanuts, or soybeans. 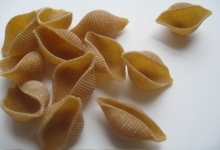 It is naturally free of all of the eight most allergenic foods. Now, the bad news. The more things you add to the popcorn, the more calories it contains. People who are trying to lose weight may be able to fit some popcorn into their diet – but will quickly go over their daily calories if they add a lot of extra things to the healthy popcorn. Consumer Reports points out that a little bit of salt and oil in popcorn, or sugar in kettle corn, might not be so bad for your health. Be aware that popcorn becomes less healthy when you “load it up” with a lot of butter, extra salt, or cheese. Make sure to check the nutrition label on the box of popcorn before you buy it. The front of the package might tell you the calorie count of one cup of popcorn. But, the nutrition facts label lists values for one ounce of popcorn – not one cup. That can make it difficult to compare one brand to another. Check to see how many servings one bag of popcorn has inside it. In general, one bag does not equal one serving. People tend to eat the whole bag and consider that to be a healthy choice. In reality, they are probably eating more than one serving. Bagged, pre-popped, flavored popcorn could have a wide variety of things added to it. Cheese, caramel, sugar, chocolate – and more. These additions add to the calorie count. Some bagged popcorn might contain artificial ingredients. One way to keep popcorn a healthy snack is to make stovetop popcorn yourself. This lets you control the portion size, the amount of salt, and the type of oil that is used. Gallup and Sharecare released a report called “Nutrition Across the Nation: 2016 Community Rankings for Healthy Eating”. It includes a list of the communities in the United States where people are making the healthiest food choices. In addition to identifying the communities where adults were making healthy food choices, the report also explores the relationship between healthy eating and various chronic illnesses. Some of those chronic illnesses include: obesity, diabetes, heart disease, depression, and stress. Is the community you live in listed among the top ten healthiest? Did it end up in the list of the least healthy eaters? If you don’t see your community in these two lists, there is potential that it could be on the full list put together by Gallup and Sharecare. There are a total of 189 communities in their ranking. No matter where your community ended up, there is some wisdom to take from this report. Ask yourself the following question: “Did I eat healthy all day yesterday?” If the answer is “no”, it might be time to start making some changes in the kinds of food you eat and/or the portion size you are eating. If possible, swap out sugary sodas with water. Tea with no sugar added, or coffee with no sugar added, are two more choices that are healthier than sodas. 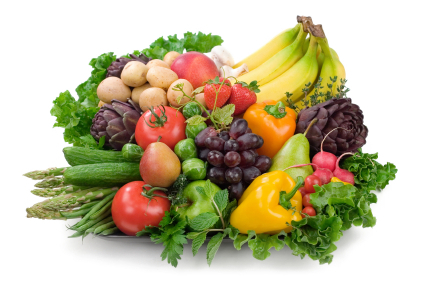 Try to get more fruits and vegetables into your diet. It has been said that starting your day with breakfast is good for you. A bowl of cereal is a common breakfast selection – in part because it is quick and easy. Finding a healthy cereal at the grocery store can be difficult. These tips will teach you how to pick a healthy cereal. Some cereals will have the word “healthy” on the front of the box. The word “healthy” on a package of food doesn’t have a specific meaning and is not regulated. You have to read the nutrition label to find out if a cereal is healthy or not. How many servings of cereal are in the box? Check the serving size. Compare that to the amount of calories in each serving. Read the list of ingredients. They are listed in order of amount. 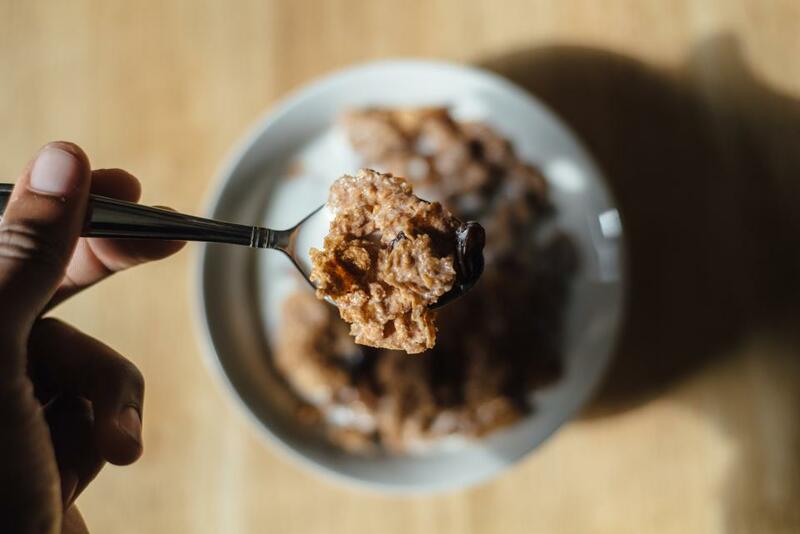 A cereal with wheat or oats as the first item listed is probably healthier than one that has sugar at the top of the list. Whole grains are good because they don’t go through the processing that removes the healthy part of the grain. Whole grains contain vitamins and minerals. The fiber in whole grains helps people to feel full. Check the nutrition label on the cereal box. Ideally, you want to choose a cereal that has 100 percent whole grain listed as its first ingredient. Before you buy your favorite type of cereal, take a moment to compare brands. There are several versions of puffed rice cereal, or wheat cereal, or raisin bran cereal. You might discover that the store brand version has the exact same ingredients as the name brand one. Typically, the store brands cost less than the name brands. More importantly, you might discover a healthier version of the cereal that you enjoy. Look for one with less than 8 grams of sugar. Find out if there is one with whole grains. Pick the cereal that has less than 3 grams of fat. People who have been eating large bowls of cereal in the morning might be eating more than one serving size. When they switch to the actual recommend serving size, they might not feel full. One healthy way to solve that problem is to add some fruit to the cereal. Cut up a fresh banana for your cereal. Or, add some blueberries. Doing this gives you some fiber (which can help people feel full). It’s also an easy way to get one serving of fruit into your day. There are two kinds of people who eat a gluten-free diet. In one group, there are people who are doing it because they have celiac disease or an allergy or intolerance to foods that contain gluten. In the other group, are people who chose a gluten-free diet because they think it will make them lose weight. A recent study about gluten-free diets is going around the internet, but is being presented in a misleading way. A person who has been diagnosed with celiac disease must avoid consuming gluten. Their doctor will recommend these people eat a gluten-free diet because it is the only form of treatment for celiac disease. Gluten will actually cause damage to the intestines of a person who has celiac disease. Other people, who have been diagnosed with an allergy to wheat, rye and/or barley, will also hear their doctor recommend that they stay away from gluten. The same is so for those with a diagnosed gluten intolerance. A study done by researchers from the University of Chicago, University of Illinois at Chicago, University of Michigan, and Dartmouth University is being passed around the internet. Unfortunately, some people are presenting the results of that study in a misleading way. You may have heard that a gluten-free diet results in increased levels of arsenic and mercury – two toxic metals that can lead to cardiovascular disease, neurological problems, cancer, and other health problems. What isn’t being emphasized is that the result came from a relatively small sample size of people who ate a gluten-free diet. The study includes 7,471 participants in the National Health and Nutrition Examination Survey. Of those people, only 73 reported being on a gluten-free diet. Tests of urine and blood found that arsenic levels were almost twice as high in the gluten-free group compared with the much larger group that ate gluten. The same tests found mercury levels were higher in the gluten-free group. There are two things you need to understand about these results. One, more studies need to be done before we can conclude that a gluten-free diet poses a significant health risk. Two, there is speculation that the health risks have to do with the amount of rice that people who eat gluten-free are consuming – but this has not yet been proven. The Academy of Nutrition and Dietetics wants you to know that March is National Nutrition Month. Their website has plenty of helpful information about eating right. The Academy of Nutrition and Dietetics is the world’s largest organization of food and nutrition professionals. It was founded in Cleveland, Ohio, in 1917 by a group of women who were dedicated to helping the government conserve food and improve the public’s health and nutrition during World War II. The theme for the National Nutrition Month 2017 is “Put Your Best Fork Forward”. The theme reminds people that each bite counts. It also is meant to inspire people to start with small changes in order to make healthier lasting changes that they can enjoy. * Ease your family – and yourself – into healthier ingredients one at a time. Buy whole-wheat bread instead of white sandwich bread. Swap the whole milk for low-fat milk. * Make fresh fruits and vegetables convenient to grab and eat. Clean and cut fresh vegetables and right away and put them in plastic bags. Fill a bowl with fresh fruit. * Canned foods retain as much nutrient value as their fresh or frozen counterparts. Choosing canned fruits, vegetables, beans, and meats can lighten the burden on your wallet. * Every person in your family should eat a minimum of two pieces of fruit per day. Take the number of people in your family and multiply it by two. That’s the number of pieces of fruit that you need to have in your home for one day. There is a section of the website dedicated to information regarding food allergies and intolerance. It includes articles that help you understand the difference between a food intolerance and a food allergy, signs that your baby may have a sensitivity to a certain food, and ways to manage food allergies during the holidays. You can also browse sections of the website that are dedicated to food and health for men, for women, for seniors, and for parents. There is also a section for kids which is split into sections based on a child’s age. Choose from: for baby, for toddler, for preschooler, for gradeschooler or for teen. There are plenty of recipes for a variety of healthy food choices that can be found on the Academy of Nutrition and Dietetics website. Find one that sounds good, go shopping for the ingredients, and give it a try!